Ray Rimell’s follow up to ‘Hawa’! Volume 1 dives deeper into the Hannover CL. II and its variants. The cover features a Stan Stokes painting of a Hannover in action over the front lines. Ronny Bar contributes nine color side profiles, all up to his normal high standards. Mick Davis grabs the pullout centerfold with general arrangement line drawings of the Hannover CL.IIIa and the Hannover CL. III (Merc.). For those of you that still dabble in that odd 1/72 scale, Mick Davis also provides you with drawings of the same two aircraft. I counted seven color photos of the 180-hp Opel (Argus) motor located at the Science Museum in London. There are also an additional 54 black and white photos and over 150 drawings of the airplane components. Ian Stair provides a 1/48 general arrangement drawing of the Hannover CL. V along with fuselage sections and a few detail drawings. Ray Rimell kicks it off with a nice chapter on the Argus engine that will be essential to detail out in either 1/48 or 1/32. The color photos come in really nice here to see the various shades. The next chapter is on Colours and Markings. Although WWI models may well be debated till the cows come home, Ray Rimell charges in at the black and white photos supported with short summaries for each picture. ‘Refining the Breed’ describes the development of the Cl.IV led by Hermann Dorner. 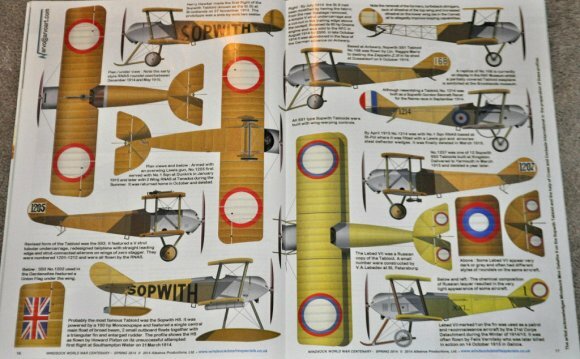 After the Mick Davis line drawings, a three page supplement to The Aeroplane is reprinted that presents some valuable details to the airframe components. This is further enhanced with a parts list and sketches from an original 1918 Hannover parts list. This is a superb reference to go along with the first volume, Datafile 168 ‘Hawa’! I consider this book, along with Datafile 168 to be absolutely essential to building your kits of the Hannover CL.